Our children have been busy observing and exploring our Painted Lady Caterpillars in the classroom. Having the opportunity to nurture a caterpillar to butterfly has given children authentic motivation to learn about Painted Ladies as they build empathy and understanding while caring for a living thing. 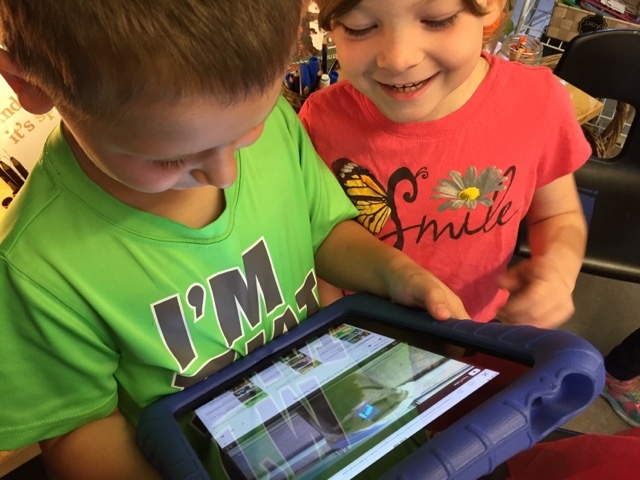 We are always searching for ways to integrate technology in a meaningful way that helps build our collective knowledge and experience throughout the process of learning. 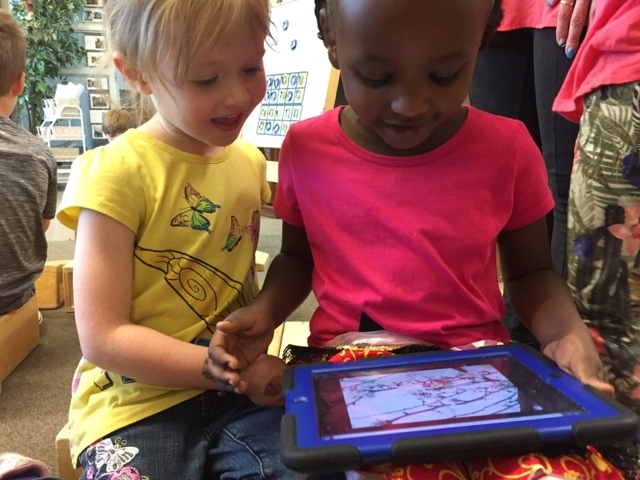 We want technology to compliment and support our emerging understandings and help children see its potential in their work with one another. 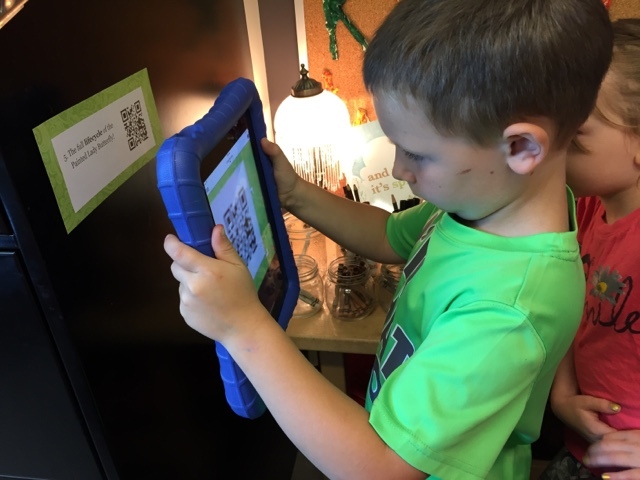 Because our children love to go on 'hunts' around the room, we set up an activity today that had five cards with corresponding QR codes hidden around the room. ...a number to indicate its order, a sentence to describe the life cycle stage being explored, and a QR code leading the child to a video showcasing that stage. 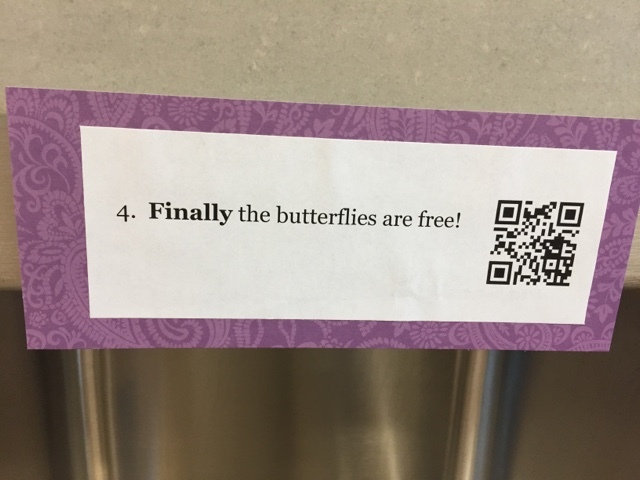 After a quick refresher on how to use the QR code scanners, children worked in pairs to search the room for the codes, used the app to scan them, and enjoyed the detailed videos highlighting a specific stage of the butterfly's life cycle. 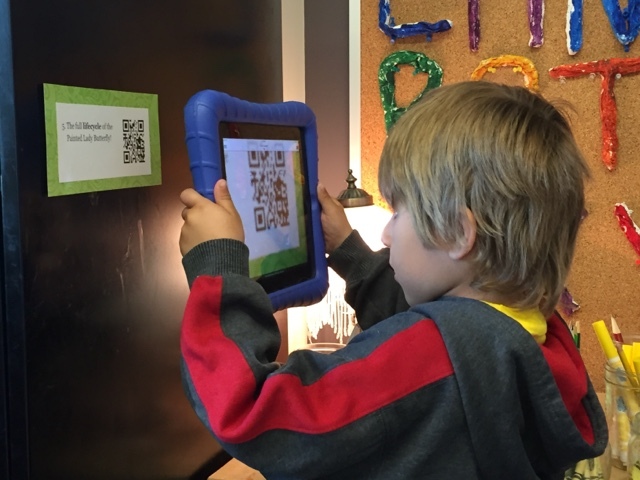 What we love about this activity is that children get practice using the QR scanner app, learn how the codes can help access information quickly and easily, and the retrieved videos nicely compliment the text-bound information that we have been relying upon. The videos engage children in a different way than books do and re-energize the children's interest in the caterpillar centre. We just loved the look of interest and wonder on the children's faces as they carefully watched the videos together. 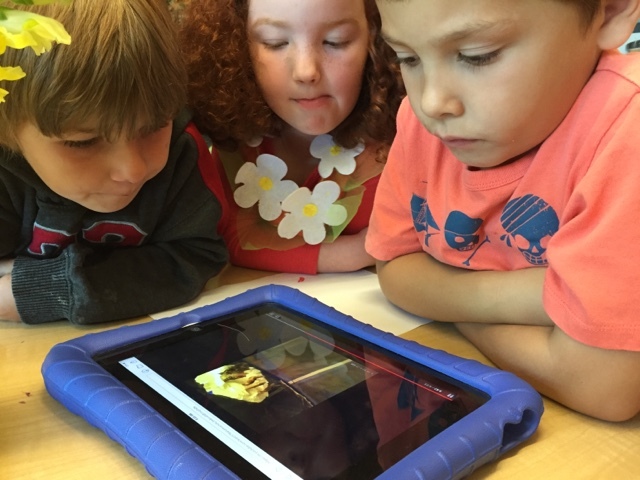 There were many connections as children realized that many of the videos were time lapsed; we have a lot of experience creating our own as part of our documentation explorations. 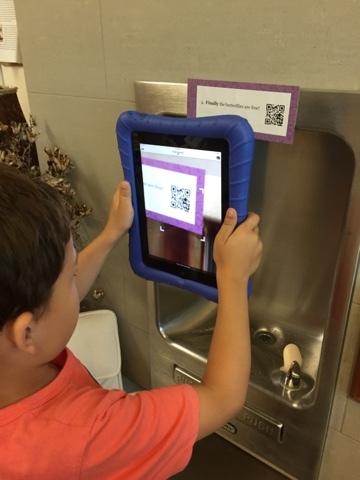 We are sharing our QR codes for those educators who might be interested in using something similar in the classroom. Just click on the link, print the codes, and use an QR code reader to access the videos. Enjoy! Awesome! What a wonderful way to integrate a purposeful use of technology. The looks of delight on the children's faces are delightful!